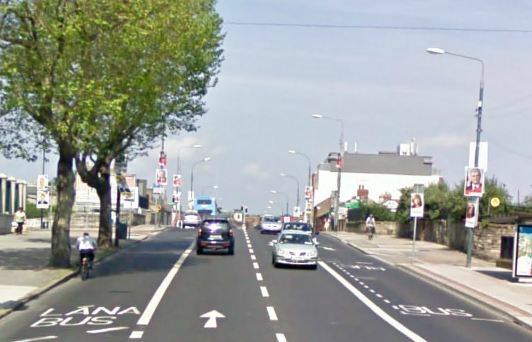 Funding has been approved to upgrade a bridge on North Strand Road, the busiest cycle route into Dublin City Centre. Newcomen Bridge is recorded by the council as the single largest point of entry for cyclist over the canals and into the city centre at the morning rush hour. It serves as the main route to a wide range of areas including Fairview, Clontarf, Marino, Donnycarney, and Coolock. The bridge brings North Strand Road over the Royal Canal and a railway line. The heavily trafficked road currently has narrow shared bus lanes where bus drivers and cyclists attempt to squeeze past each other. Leo Varadkar TD, Minister for Transport has informed me that €80,000 has been allocated by the National Transport Authority to allow the Newcomen Bridge Cycle Project progress. This funding will be used to finalise the design of a scheme to provide improved facilities for both pedestrians and cyclists. From what the Minister has told me the project will see a widening of Newcomen Bridge for both cyclists and pedestrians. I expect to receive a further update on this from the Council Engineers next week. If you would like further information on this project, please get in touch with me. Minister Varadkar has also pointed out to me that funding will be made available for design work of the cycle route along the Royal Canal from Sherriff Street to North Strand Road and then onto Phibsborough Road. Despite our economic difficulties, I am delighted that our Fine Gael-led Government is in a position to allocate funding to allow these vital projects to develop. The proposed project at Newcomen Bridge has been split into a menu of two – the NRA can pick all, one or none. It estimates this will cost €1.1 million. From east to west, at an estimated €1.9 million, the council wants to enable cyclists to travel along the Royal Canal – this is part of a wider plan to develop a network of off-road cycle routes along the Royal Canal, Grand Canal, and Dublin Bay.